No matter which vehicle you choose, here at Valley Auto Center we make financing easy with our Guaranteed Credit Approval System. As a TrueCar Certified Dealer we have access to Banks, Finance Companies, and Credit Unions from A to Z. We stand behind every vehicle we sell with CarFax Reports, and back those up with Nationally Accepted Vehicle Service Contracts. To top that all off, we can add in GAP Insurance to the loan to cover any unplanned accidents that may happen along the way. There are many things to consider when buying a car, and our knowledgeable and helpful staff will find the right deal for you, your lifestyle, and your Family! Happy Hunting, and Congratulations on shopping with Antelope Valley's Best! No matter which vehicle you choose, here at Valley Auto Center, we make financing easy with our "Guaranteed Credit Approval's." We are proud to have partnerships with several banks, finance companies, and credit unions. We stand behind every vehicle we sell with CarFax Reports, and back those up with nationally accepted vehicle service contracts. To top that all off, we can add in GAP insurance to the loan to cover any unplanned accidents. There are many things to consider when buying a car. Our knowledgeable, helpful, and friendly, staff will find the right deal for you, your lifestyle, and your family! Happy hunting, and congratulations on shopping with Valley Auto center! 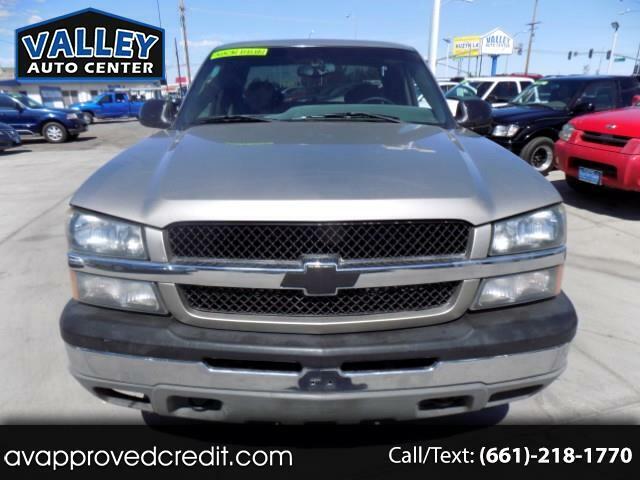 Visit Valley Auto Center online at avapprovedcredit.com to see more pictures of this vehicle or call us at 661-951-1100 today to schedule your test drive.